Here you should help this guy and hit his target. Just throw different items and get all the crows here. Be very attentive and you will love this game. Are you ready for that? Then just do everything to set the best record here. Have you ever seen that? Just imagine that you have been tasked to take back the crowns of your king. That is why you are going to drop rocks, stumps and other heavy objects on the tops of the heads of the soldiers below. Could you believe that? So, just think ahead as each level gets increasingly difficult. 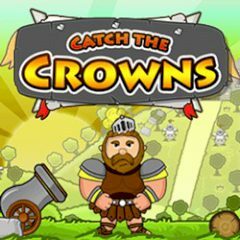 By the way, once you collect the crown your mission is completed, then it is time for the next medieval challenge and everything will be perfect! You will cope with it! So, have so much fun here.